She had been a daughter, a wife and an adoring mum – but by the time Hadassah Bimko arrived at the death camp of Bergen Belsen, every one of those roles had been ripped away. The 33-year-old lost her parents, husband and five-year-old son, Benjamin, in the gas chambers of Auschwitz. Most people would have lost all hope too. But Hadassah clung on to the love she could no longer give her own son and decided to become a mother again – to all the children who had lost their parents. She risked her life to create a children’s home for Belsen’s orphans. One of them was the then 14-year-old Mala Tribich and speaking ahead of Holocaust Memorial Day today, she says Hadassah saved her. “She was the mother of Belsen,” says Mala. “But I never knew she lost a child of her own. I owe my life to her, we’d not have survived without her care. Me and my cousin Ann, who was seven, arrived at Belsen alone. We had lost our parents and I had been caring for Ann for two years. “I knew at Belsen there was no way we would survive, then I heard about this lady. Hadassah passed away in 1997 but with tears in her eyes Mala, now 85, is telling her story as she meets Menachem Rosensaft – a man she views as a brother in many ways, because he is Hadassah’s son. Although she was grieving for the child she had lost, she found the strength to love again in Belsen. 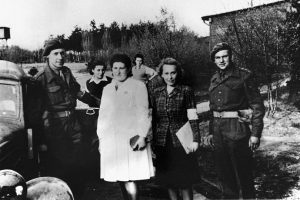 In the Displaced Persons Camp created after its liberation by the British Army, she met Josef Rosensaft, a survivor who had lost his wife. Reaching out to her, he adds: “Meeting Mala means so much. These children my mother helped are my brothers and sisters. She never spoke very much of that time. Hadassah, also known as Ada, and her family were from Sosnowiec, Poland, where she was a dentist. 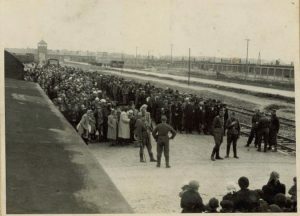 The Nazis deported them to Auschwitz-Birkenau in August 1943. She could have given up then – but she was given a purpose. Due to her medical training the notorious Josef Mengele, Birkenau’s chief medical officer, chose her to work as a doctor. The camp’s infirmary simply patched up weak and injured inmates for more labour. But Hadassah used the opportunity for good. “She would camouflage inmates’ wounds and send them out when she knew gas chamber selections were expected, so they’d avoid them,” says Menachem. In November 1944, Mengele sent Hadassah to work at Belsen. There, she found the Nazis cared much less – but she realised she could use the desperate conditions to her advantage. “In December, she and some other women found 49 Dutch children outside their barracks,” Menachem explains. “The parents had been taken away. So she took them in. One SS doctor said, ‘What is this?’ but my mum said, ‘We are taking care of them’. He just walked away. Among the children were Mala and her young cousin, Ann Helfgott. Mala and her family, who were Jews from Piotrkow Trybunalski, Poland, had been herded into a Nazi ghetto. Her mother and sister were murdered in an SS round-up while her father was at work. Mala survived because her mother pleaded with the guard that she was ill. But her reprieve did not last long. The guards returned and rounded up Mala, her father and brother, and Ann. They were deported to a labour camp and then to Ravensbruck concentration camp. She never saw her father again – he was shot on a death march. Thankfully, her brother survived but she did not find out until after the war. For now, the young, scared girls were alone. When they were sent to Bergen-Belsen in February 1945, they were close to death. On hearing of “Dr Bimko’s” children’s home, Mala took Ann there in desperation. When the British liberated the camp, Hadassah stayed on and testified in the first Nazi war crimes trial. Mala married and had two children, settling in Sweden then the UK. Ann emigrated to Australia. Hadassah and her new family eventually moved to New York, where she rarely spoke of those times or the family she had lost. But Menachem says she did talk about her “other children” in Belsen. “She spoke about singing to them and getting food and medicine for them,” he recalls. In 1981, at a Holocaust memorial, Mala was finally able to see her again briefly. But she says only now, through Menachem, can she express the real weight of her thanks. After all, they share an unbreakable bond. “Because in that camp she was my mother, too,” she smiles. 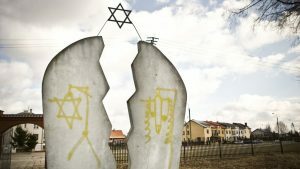 OSWIECIM, Poland (AFP) — Brick by brick, plank by plank, workers at the former Nazi German death camp Auschwitz-Birkenau carefully clean its barracks to preserve the Holocaust symbol for future generations. “This is the largest preservation project in the history of the museum at Auschwitz-Birkenau. 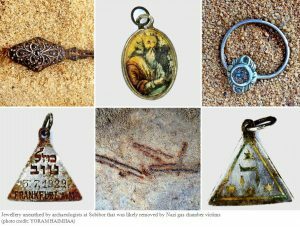 It’s unprecedented,” museum spokesman Pawel Sawicki told AFP. 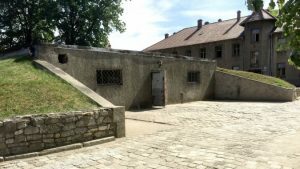 Along with the ruins of the gas chambers and crematoria, the barracks bear witness to Nazi Germany’s killing of around 1.1 million people, mostly Jews, at this camp, which it built in 1940 in the southern city of Oswiecim after occupying Poland. “Preserving a barrack requires a completely different approach than one used to preserve a church for example. There, the goal is to return the building to its original state, so its most beautiful state,” says site manager Ewa Cyrulik. “Here, the goal is to leave everything unchanged. The biggest compliment for us is when someone says they can’t really see a difference afterwards,” she tells AFP. 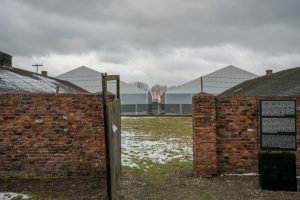 The task is all the harder because these types of poorly constructed barracks have never been preserved before, according to the Auschwitz team. “My colleagues in the building industry laughed when I told them what I was doing. They said it’d be easier to just tear down the wall and rebuild it brick by brick than to restore it the way we’re doing,” says Szymon Jancia, a construction expert at the site. “We’re aware that people come here specifically to see authentic objects and buildings,” Cyrulik adds for her part. Protected from the weather by tents 12 meters (39 feet) high, the two barracks under restoration number among the camp’s oldest. Work on the barracks began in September 2015 and will continue for another couple of years, while the entire project will take more than a decade and cost millions of dollars. 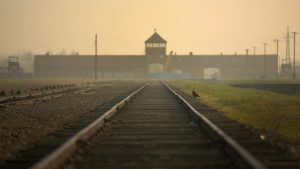 Auschwitz-Birkenau is really two camps, located three kilometers (two miles) apart. While Auschwitz has been subject to preservation work in the past, none of the brick barracks at Birkenau have been seriously restored before. Only simple maintenance work was carried out to respond to critical repairs. Birkenau’s buildings are much more fragile than those at Auschwitz, which were built long before Nazi Germany took them over and originally served as military barracks. Birkenau’s buildings on the other hand were meant specifically for the camp and were built in a slapdash manner, using less robust materials. Their walls are thin, barely the thickness of a brick, and have buckled in places because the roof is too heavy. The wooden frame is rotting. The foundations have been eroded by groundwater. “It’s a miracle they’re still standing,” says Jancia. In total, 45 brick buildings at Birkenau will undergo restoration work. The team will preserve whatever parts are in good condition, and replace those that are in a poor state or threaten the integrity of the entire building. “Whatever we replace has to be visible to the eye, so as not to be confused with the original,” Cyrulik says while pointing to layers of paint in a slightly different color. Kneeling in a cramped hole, workers carefully remove earth to get at the foundations that have been weakened by groundwater. They work by hand, without recourse to machines, as is the case elsewhere on-site. Inside a nearby tent, they have built a six-meter-long model wall that is propped up by metal bars. “It’s a wall we built using the same materials and featuring the same flaws as those in the actual barracks,” Jancia says. 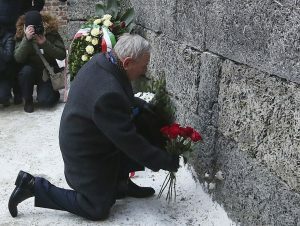 The entire project has so far cost 12 million zlotys (2.7 million euros, $2.9 million) in funding secured by the Auschwitz-Birkenau Foundation. Created in 2009, it manages the funds meant to preserve the site of the former Nazi German camp. To date, donors have contributed 101 million euros, including 60 million from Germany, as well as big donations from the United States, Poland, France and Austria.